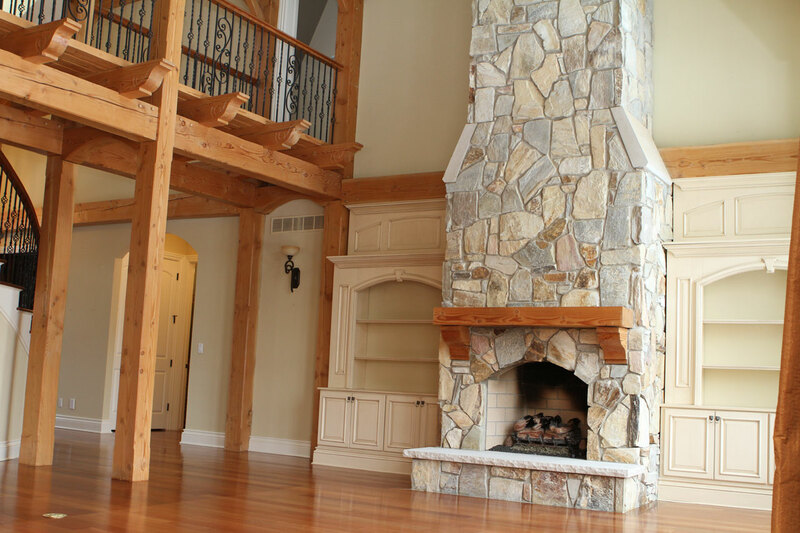 Beauty: the vaulted ceilings of a timber frame create warmth and charm in any style, traditional or contemporary. The interior beams stay exposed and creates beautiful natural wood details in the home. Strength: the oversized timbers used in building the frame mean that your home will be much stronger and last longer than an ordinary house. Some timber frame structures in Europe and Japan are over a thousand years old. Openness & Light: the frame carries all the structural weight of the house, allowing for large expanses of window and open interiors that flow from one room into the next. They allow for more open soaring spaces bringing the vastness of the outdoors inside. Energy Efficiency: insulated panels can be used to wrap the frame, creating an exceptionally tight home with higher than normal R-Values. Versatility: a timber frame can be incorporated into almost any style of home, in urban or rural settings, with exterior treatments of wood, brick, stucco, stone, or any other material desired. 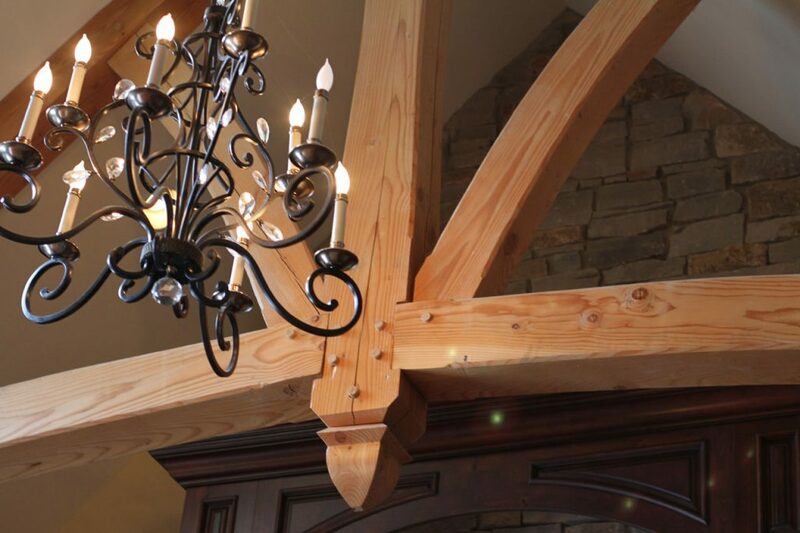 These handcrafted timber frame gems are energy efficient and constructed with sustainability in mind while maintaining the exceptional beauty, and craftsmanship that demonstrate an Oakwood Custom Home. These homes can be rustic, traditional or even contemporary according the desires of the homeowner. 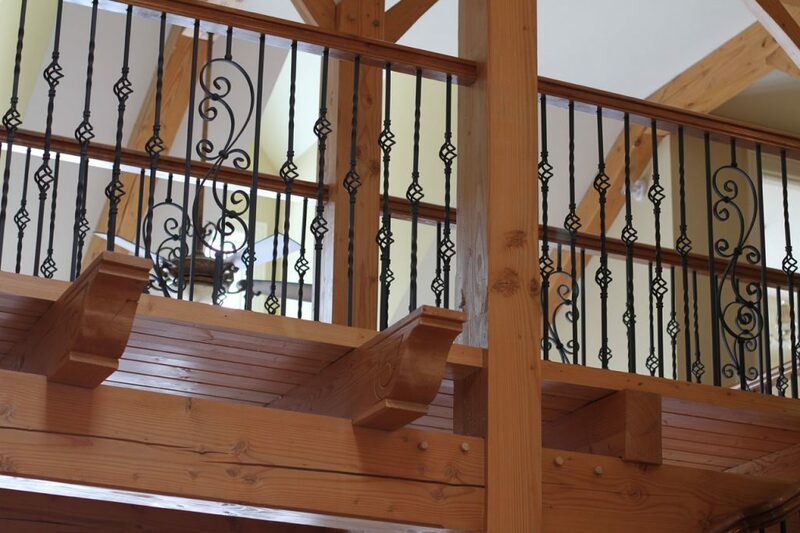 Take a look at some of Oakwood’s timber frame work and schedule an appointment to design your dream!